Peter Falk: Two-time Oscar nominee. 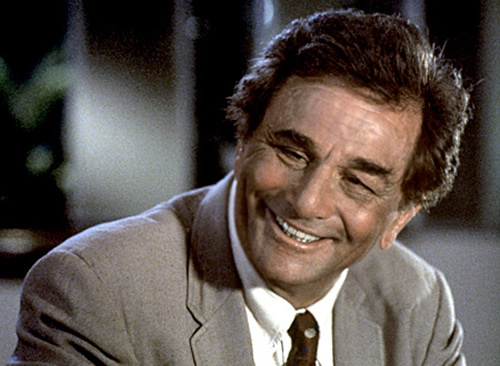 Peter Falk, the two-time Oscar nominee best known for playing television police detective Columbo, died Thursday, June 23, at his Beverly Hills home. Falk, who had been suffering from dementia (apparently a consequence of Alzheimer's disease), was 83. Falk's two Oscar nods, both in the Best Supporting Actor category, came back-to-back in the early '60s: as a cold-blooded hitman in Burt Balaban and Stuart Rosenberg's 1960 crime drama Murder, Inc., and as a typical Damon Runyon underworld character – named Joy Boy – in Frank Capra's dismal 1961 remake of his own Lady for a Day, Pocketful of Miracles. Among Falk's other notable film roles are those in two John Cassavetes movies: the very, very, very long 1970 drama Husbands, co-starring Ben Gazzara and Cassavetes himself, and the director' biggest box office hit, the 1974 release A Woman Under the Influence, co-starring Gena Rowlands as the mentally unbalanced title character. In the film, which many consider Cassavetes' best work, Falk plays Rowlands' brutish but kind-hearted blue-collar husband. Also worth mentioning is Falk's big-screen role as Peter Falk in Wim Wenders' Wings of Desire (1987). In Wenders' tale about angels in Berlin, Falk plays a Columbo-esque version of himself, one who also happens to be an angel in human form. Some found that quite clever; others were less impressed. Among Falk's other film roles were those in Blake Edwards' The Great Race (1965), as villain Jack Lemmon's sidekick; the critical and box office disaster Penelope (1966), starring Natalie Wood; Elaine May's Mikey and Nikky (1976), opposite Cassavetes; Robert Moore's box office disappointment The Cheap Detective (1978); John G. Avildsen's Happy New Year (1987); and Rob Reiner's The Princess Bride (1987). A few years ago, he provided one of the voices heard in Shark Tale (2004). As per the Los Angeles Times obit, gossip columnist Hedda Hopper labeled Falk as “another James Cagney or John Garfield ­- a man to replace irreplaceables.” As usual, Hopper was way off the mark. Falk, in fact, never became a film star. His enduring popularity is totally tied to Columbo, a fairy-tale Los Angeles police detective who was always courteous, always observant, always correct, and always getting his man/woman. Ah, always unkempt, as well. Bing Crosby had reportedly been the original choice for the role. On Broadway, Falk starred in Neil Simon's The Prisoner of Second Avenue. On screen, however, the role went to his The Great Race co-star Jack Lemmon. Falk's glass right eye was the result of surgery to remove a malignant tumor when he was three years old.